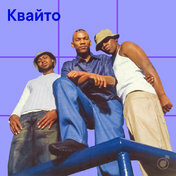 Kwaito is a South African version of Haus, close to hip-hop. As a genre of music and a youth subculture, the kyuto was born after Nelson Mandela was elected president of South Africa in 1994. Because of the collapse of apartheid, South Africa began to change rapidly, including music inside the country. Discovering the European House, until then, the oppressed Africans began to develop a new musical style with slow rhythms, the pathos of racial struggle and numerous elements of African folklore and jazz. One of the first popular tracks was Arthur Mafokat's Kaffir, which described a free life after the end of apartheid in South Africa. Famous performers of the quarto are Mandoza, Mafikizolo, Brenda Fassi, M'Du, Trompies, Zola and DJ Sbu. Every weekday is a new playlist in the "Genre of the Day" rubric. Here and in our telegram-channel: t.me/ya_musicgenre. Listen to the collection Kwaito in high quality, absolutely free. You can listen to the whole collection, or separately song by song. In addition to Kwaito of the collection, you can find any other one by following the link and get information with the already collected collections and collections of tracks, songs and music.